What word comes to mind when thinking about those little leaks that millions of women experience when they laugh, cough, sneeze or even exercise? Is it pee? Tinkle? Spritz? How about Light Bladder Leakage (LBL)? Even though one in three women experience LBL, many shy away from talking about it with their closest family and friends – not realizing that they are not alone. That’s why host, actress, fitness expert and celebrity mom Brooke Burke-Charvet has teamed up with the Poise brand (www.Poise.com), with a focus on educating women about LBL and empowering them to find the best solutions for their leaks. Women deserve the best options for managing their LBL. Unlike period pads, only Poise Thin-Shape pads have Thin-Flex Technology. Poise also provides 3-in-1 LBL protection for dryness, comfort and odor control. 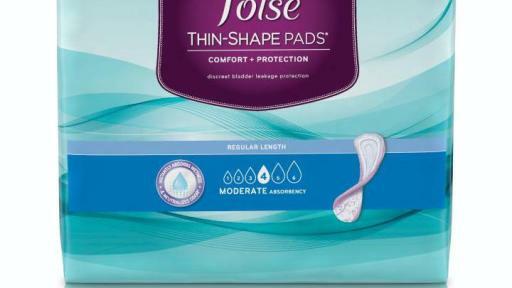 Designed to move with a woman’s body, Poise Thin-Shape pads are up to 40 percent thinner than original Poise brand pads and stay three times drier than leading period pads†. 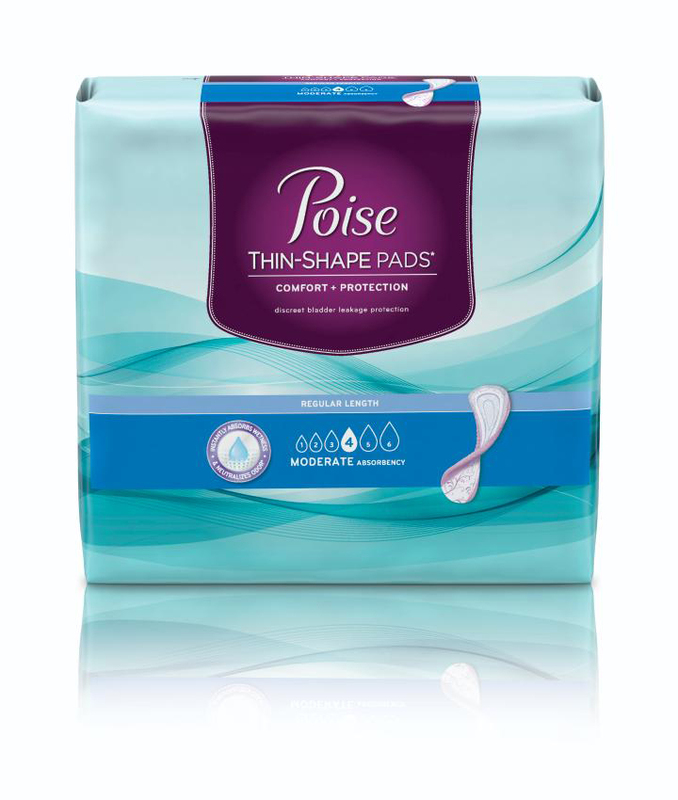 Poise Thin-Shape pads also feature Thin-Flex Technology that moves with your body, an Absorb-loc core that quickly locks away wetness and odor, and leak-block sides for outstanding protection. In addition to partnering with Burke-Charvet who appears in new Poise brand television, print and online advertisements, free standing inserts as well as online video shorts available on www.Poise.com, the Poise brand is encouraging women to seize their Poise moment with an integrated marketing approach. This includes digital partnerships, sampling, retail support and a year-long partnership with Life Time Fitness that includes in-club signage plus sponsorship of and sampling at the company’s national Esprit de She races. Visit www.Poise.com to learn more about Poise products, seizing one’s Poise moment and to request a free sample. †vs. leading similar-sized period-only pads and liners. Launched in 1992 by Kimberly-Clark Corporation, Poise brand is the market leader in Light Bladder Leakage protection products for women. 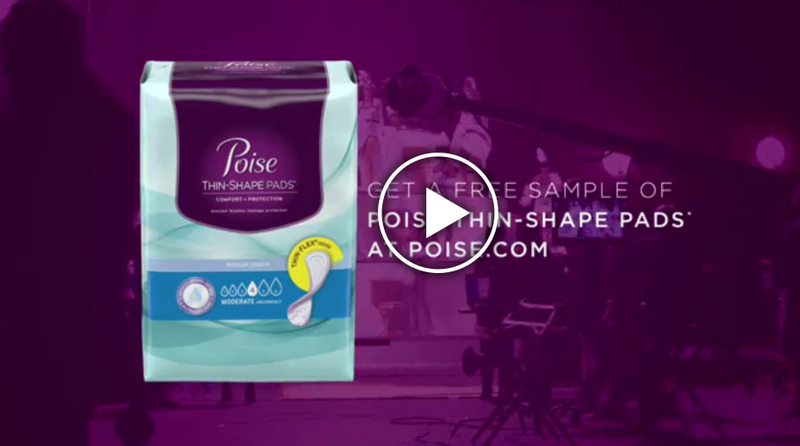 Poise offers pads and liners, which come in three different forms (liners, ultra thins and pads) and Poise Impressa Bladder Supports, the first, over-the-counter internal product designed to help stop leaks before they happen. For more information and to request a free consumer sample kit, visit www.Poise.com. Kimberly-Clark (NYSE: KMB) and its well-known global brands are an indispensable part of life for people in more than 175 countries. Every day, nearly a quarter of the world's population trust K-C's brands and the solutions they provide to enhance their health, hygiene and well-being. With brands such as Kleenex, Scott, Huggies, Pull-Ups, Kotex and Depend, Kimberly-Clark holds the No. 1 or No. 2 share position in more than 80 countries. To keep up with the latest K-C news and to learn more about the company's 144-year history of innovation, visit www.Kimberly-Clark.com or follow us on Facebook or Twitter.